Your baby's comfort is of utmost priority. Keep your worries about your infant's colic pain at bay with India's most trusted gripe water, Woodward's gripe water. 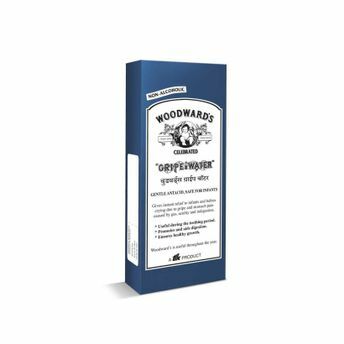 Woodward's Gripe Water is an Ayurvedic formulation with a combination of Dill oil and Sarjikakshara that provides symptomatic relief from stomach pain caused due to gas, acidity and indigestion in infants and children. It is absolutely safe strict checks are done at every stage of the manufacturing process to ensure quality and hygiene of the product. The result is a resounding and satisfied burp from your baby, Woodward's is the most widely used gripe water brand in India for generations. Explore the entire range of Miscellaneous available on Nykaa. Shop more Woodward's products here.You can browse through the complete world of Woodward's Miscellaneous .